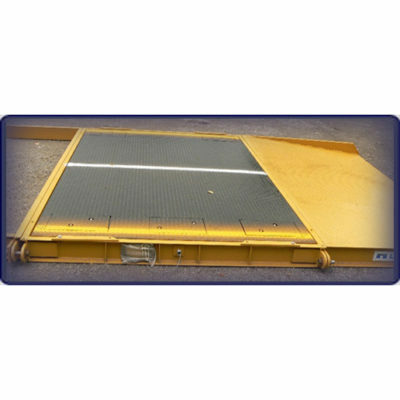 The LOADMASTER Low Profile Axle Scales. 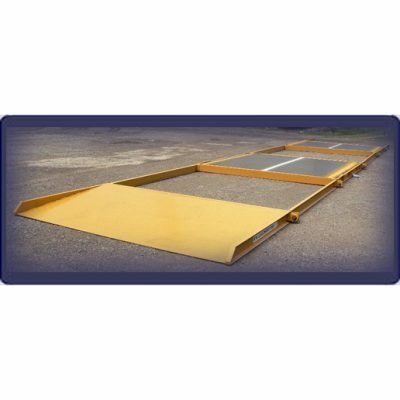 Available as individual platforms to weigh a single axle at a time -or- in multiple platform configurations to weigh entire trucks at once are available for rent. Portable truck scale system with self-contained weigh modules, installed scale is an ultra-low 6″ tall. Satisfaction and expert, on-time delivery GUARANTEED!